In humans, hereditary sensory neuropathies (HSN), also known as hereditary sensory and autonomic neuropathies (HSAN), constitute a clinically and genetically heterogeneous group of disorders characterized by progressive sensory loss, often accompanied by chronic skin ulcerations and nail dystrophic changes. 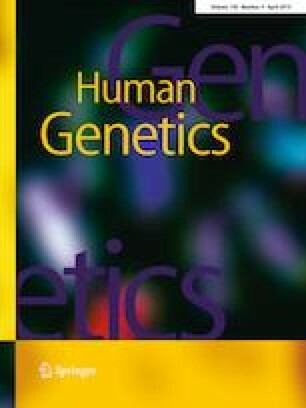 To date, although around 20 genes have already been discovered, they do not explain the genetic causes of all patients. In dogs, similar neuropathies are also diagnosed, several breeds being predisposed to specific forms of the disease. Indeed, the breed specificity of most canine genetic diseases is due to the small numbers of founders and high levels of inbreeding. Recent knowledge and tools developed to study the canine genome efficiently allows deciphering the genetic bases of such diseases. To date, a dozen breeds are recognized to develop specific HSN. For the Border collie and hunting dog breeds, the genes involved have recently been discovered. Other affected breeds thus constitute potential genetic models, with new genes to be found in dogs that can be considered as candidate genes for human HSAN/HSN. Here, we review the different forms of human and canine HSAN/HSN and we present a novel form in Fox terrier cases, highlighting the advantages of the dog model for such rare human diseases. The authors are grateful to dog owners who donated samples and follow-up of their dogs and to French referring veterinarians, especially Dr. Christian Collinot, Pr. Marie-Christine Cadiergues (Université de Toulouse, ENVT) and Dr. Frédérique Degorce (Veterinary Diagnostic Laboratory LAPVSO). We particularly thank Dr. Sophie Cognard (Clinique Vétérinaire «Les grands crus» Chenôve, France), Dr. Elodie Orain (Clinique Vétérinaire “La prairie”, St Amand Montrond, France) and Romain François (MICEN-Vet, Créteil France) for clinical data and sampling blood and tissue samples. We do thank Dr. Edouard Cadieu (IGDR) and the Cani-DNA CRB (http://dog-genetics.genouest.org), which is part of the CRB-Anim infrastructure, ANR-11-INBS-0003. We thank Antagene (Animal genetics laboratory, La Tour de Salvagny, France), especially Caroline Dufaure de Citres and Guillaume Queney, for sharing statistical data of the dog AMS genetic tests. We also thank Pr. Sylvie Odent (CHU Rennes) and Pr. Eric Leguern (ICM, Pitié Salétrière, Paris) for helpful discussions and advices.